The richness of the materials, the high quality requirements and the exceptional finishes of this 3-seater sofa perfectly reflect the spirit of the Hay brand. 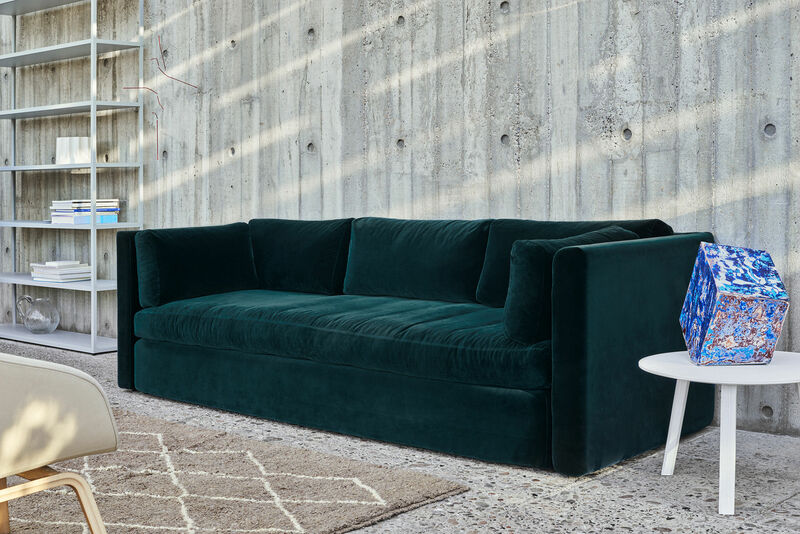 The essential and clean shapes showcase the quality of the covering, a wonderful chic and sparkling emerald green Kvadrat fabric. 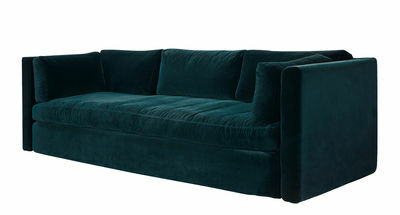 Both elegant and original, the Hackney sofa will go wonderfully in all kinds of interiors. The polyurethane foam cushion and down guarantee excellent and long-lasting seat comfort.